The majority of addiction specialists agree that the first 90 days after returning home from alcohol rehab are critical considering that relapses commonly occur during this period. This is the reason most alcohol rehab centers provide aftercare program and encourage their former patients to participate in support group meetings after formal rehab. If you are a recovering alcoholic who is still within the critical 90-day period, you may be feeling a bit overwhelmed and unsure of everything that you do and what is going on around you. While counselors in alcoholic rehab centers do their best to prepare their patients to successfully integrate into society, it is much harder in reality, which is why you should take things slow at the onset. Keep in mind that recovery is a journey rather than an item in your to-do list. Create and stick to a predictable routine. Make sure that every activity you need to do is listed on a schedule, even those you may consider mundane. Avoid leaving even a few minutes in your day empty because you will be tempted to think about alcohol or other things. 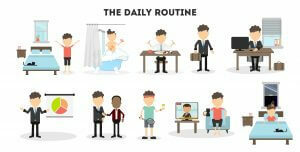 Sticking to a routine will help you regain a sense of control. Make sure to keep your support group meetings on top of your priority list. If you want to stay sober, you need all the help that you can get especially now that you are no longer in the watchful eyes of your counselors, which is why you need to faithfully attend support group meetings like AA. Continue your relationship with your counselor or therapist. Stay in touch with your counselor and feel free to set an appointment with him especially when you are about to embark on a change or having difficulty about anything. Find a mentor or sponsor that you can depend on especially during times of crises. Make sure that you find a sponsor in your support group meetings so that you will have someone who can guide you and be there for you who have been through what you are experiencing. Set short-term and long-term life goals. While you are trying your best to live one day at a time, you should also think about your future. Make a list of all the things that you want to accomplish in a few months, in a year, and a couple of years. Break it down into doable activities that you can readily accomplish. Create a living environment where you have the best chance of staying sober. Make sure that your home is free from any temptation. Clear your bar and refrigerator of any alcoholic beverage and make sure that your hobbies and source of entertainment will not remind you of drinking. Make an effort to live a healthy lifestyle. Exercise regularly and eat healthily. A sound physical body will be stronger in resisting alcohol cravings. Identify the factors that trigger your addiction and work on developing positive coping skills. If you know that being with going out with your friends will make you consume alcohol, avoid such occasions. Get into sports or other worthwhile hobbies instead. Keep your social interactions and engagements to a minimum. Attending social engagements may stress you out even more. Limit your social activities as much as possible. Celebrate your achievements and live each day with gratitude. Affirm yourself for staying sober for a month, for 2 months, and so on and do not fail to wake up each day feeling grateful for your second chance at life. The tips above are doable and simple. If you do each one faithfully, you can guarantee that you are moving forward and closer to your recovery goals, albeit in small steps. Treatment specialists in various alcohol rehab centers in the country have long emphasized the value of taking things slowly but consistently, rather than aiming to make big but unsustainable changes. Tiny steps towards the right direction are still better than staying still.